Thailand, with its magnificent nature, kind people, and delicious food all over the land, you will not be disappointed by this country. From lofty mountains of north to beautiful islands of south, the adventure is never-ending, and you will lose track of time as you explore it. You will love this beautiful country, as you know more about it. I, a 21-year-old normal Japanese girl, am one of those people who were taken up in charm of this country, after living there for 11 months. As I felt in love with Thailand, I would like all of the future travelers to Thailand to find their adventures exciting and enjoyable, so I decided to start this blog. I really love the pics on your blog and they look so yummy!! I always get pad Thai, but you have made me want to branch out! And thanks for the follow! thanks for the follow, your blog looks great! I’m hoping to visit Thailand soon and try its amazing cuisine first hand. These are some wonderful Thailand stories and foods!! Your food pics and descriptions make my mouth water! Great blog! Your pictures though! Holy smokes – they are SO good! I wanted to thank you for following my blog at naughtwithoutfreedom.com – I really really appreciate it. And I sincerely hope we see more of each other around here! Thanks for stopping by my blog.Will be looking forward to hearing more from you.Cheers. Hi Arisa! Beautiful blog! I really love exploring through your posts.I would love to travel around one day too! But until then, I’ll be living vicariously though you 🙂 hah Thanks for the follow! First of all, thank you for giving my blog a follow. I am of Taiwanese ethnicity, reside in the U.S., been lucky enough to travel quite a bit and like you, immensely enjoy Thai food (and lots of other ethnic dishes). I look forward to reading more of your posts and hopefully having some great interactions. Thanks for dropping by at eugephemisms! Your support really means a lot to us. Keep blogging! Thanks for the follow. I’m going to Thailand next year to visit friends. I will definitely be reading up on your blog before I go. Maybe I can even introduce my friends to some new places they haven’t tried yet! I’ve just found your blog and really looking forward to reading more. 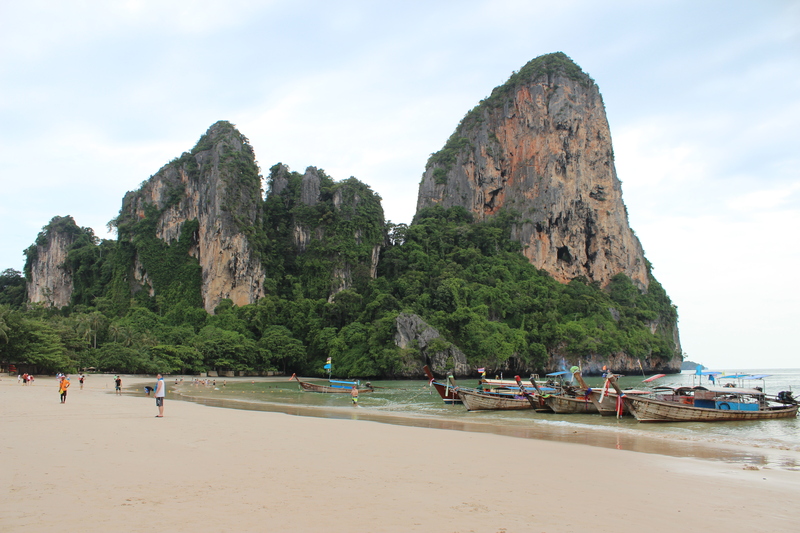 Love Thailand, absolutely love the food so your blog has really resonated with me. Stay happy. The new blog looks great! Does this mean you will stop posting here and switch to the new one completely? Hi there! Your blog is really interesting! Thanks for liking my post! Thank you for visiting and following my blog. Its led me to your wonderful blog. And I love thai food! Love your blog – so lovely and inspiring from my POV in Canada… definitely putting Thailand on our travel destination list… and thanks for following explorermama.com! Appreciate the support :-).